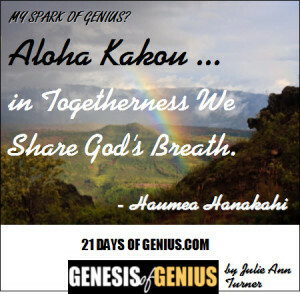 6.5 Aloha Kakou ... in Togetherness We Share God’s Breath. 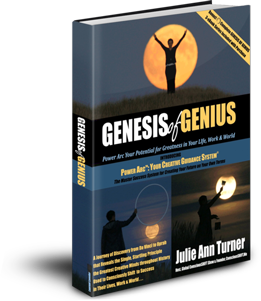 Haumea Hanakahi - Visionary Advisor & Intuitive Wisdom Guide to Emerging Leaders creating our New World, Messenger for Earth & Nature, Teaching Energetics of Sacred Harmony, Creatrix helping to midwife Earth’s Sacred Evolution into Being. 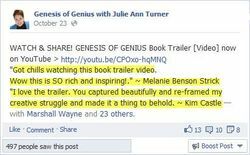 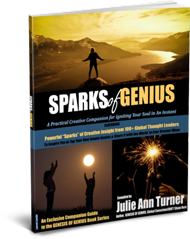 To read Haumea's full "SPARKS OF GENIUS" Insight - plus those of 100+ global creators & visionaries - all included in our new SPARKS OF GENIUS eBook - be sure you're signed up for your reminder to buy the GENESIS OF GENIUS Book on Launch Day, Oct. 24 - where the complete SPARKS OF GENIUS eBook will available as a FREE bonus!